Coming up to the last few months, weeks and even days to the exams, I always get asked, "Is it too late for me to start studying?". The short answer that I always give, regardless of the time, is, "No!". OK yes, maybe it's a bit last-minute to only start studying now, but it's never too late, so you should never use the excuse, "Oh I won't bother studying now because it's too late to start". Here's why it's not too late and also how to use the short amount of time you have most efficiently. Deciding to "not bother studying" because it's too late now and there's "no point starting" is a huge mistake. Even if it's 3 days before the exams, you can still fit in some extra pieces of info into your brain that could make a difference in your test. Say you have 3 days left before exams, and you use those days to study one topic in Mathematics. Then in the exam, that topic comes up. Even if you couldn't answer anything else very well, at least you have one thing that you're going to get high marks in. This can be the difference between a grade, so never ever resign to doing completely nothing. Your brain is amazing, and its possibilities are endless. Don't underestimate what it and your memory can do in the short space of a few days or weeks. 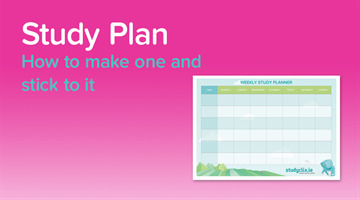 The first thing you need to do in order to get the most out of your last-minute study is make a study plan. Making a study plan lets you visualise what all you need to get done, will put your mind in organisation and focus mode, and allows you to set goals, targets and study outcomes. 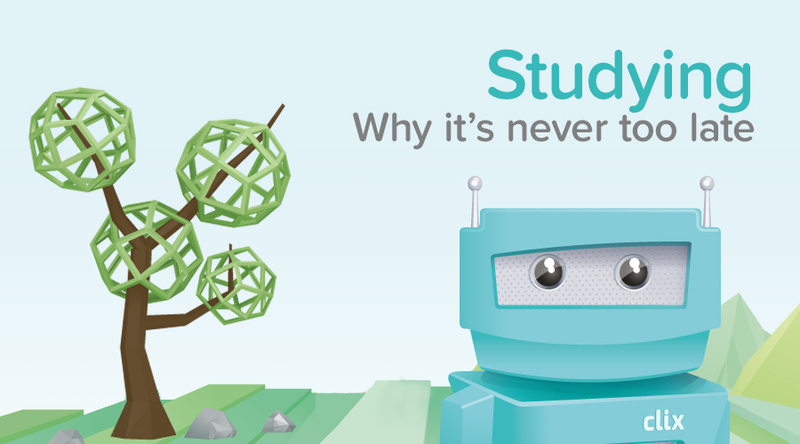 Without a plan, you'll end up choosing random subjects and topics to study without any time limit and you won't get half of the info into your brain that you could potentially. Thankfully, we've already made a study plan template for you on Studyclix and you can view it and print it off here. Once you've done that, fill it in and start studying the most important and vital topics/subjects for you asap. Time is precious now and a lot of it has already been wasted. Now is the time to put other things aside and really put in the effort for the sake of a few weeks. Although I definitely recommend taking plenty of study breaks and still including hobbies, exercise and a social life (to an extent) in your life, when you only have a short amount of time left, it may be necessary to make a few small sacrifices if you're serious about doing well. For example, maybe tell your friends you can only meet them for an hour instead of the whole day, or only watch 1 episode of your favourite TV programme instead of 4. The time you have now will go very quickly so you need to decide what you really want to prioritise. Remember, good friends, TV shows, hobbies, etc., will always stick around and be there, but you will (hopefully!) only do these exams once. If you're serious about doing well, you will really put your head down and concentrate on studying as much as you can. Trust me, pulling an all-nighter will do nothing to help your studying. If you're anxious that you haven't covered everything for your exam the following day and decide to stay awake through the night in order to study instead, you're only going to make things worse. Staying up all night and not getting any sleep is very damaging to your brain and health. You're only going to be worn out and unfocused the next day and will more than likely know less for the exam, due to lack of sleep, than you would have if you had gone to sleep. You need sleep to concentrate, ideally a minimum of 7 hours per night. If you're very worried about not knowing enough for something the next day, try setting an earlier alarm and wake up early to continue studying instead. This means you'll get less sleep but at least it won't mean no sleep. Every second counts now, so using long, boring study methods is not going to work anymore. In order to be able to fit in as much info as possible, you need to use short, efficient ways to absorb all the notes you have, in such a way that your brain won't be overwhelmed either. For this I recommend using short bullet points. Writing out or studying short bullet points of the most important things about each topic will save you a lot of time. If you write out big paragraphs where half of the words are irrelevant, then you're just wasting time. Short, to-the-point bullet points will be more time efficient and easier for your brain to remember. If all other study methods fail for you, at least try this one. Questions on the exams are often repeated from year to year. So even if you only manage to study last-minute by doing out a few questions from past papers, it could make a difference to your grade. A question you might practise might come up again on your exam the next day and you could get a grade higher as a result. Never underestimate the power and possibilities of last-minute studying! I know it sounds contradictory of me, because I'm telling you to study, study, study as much as possible asap, but remember to take regular breaks and know when to stop. If you feel your brain is exhausted and that nothing else is going in, just stop, take a break and try again later. Don't convince yourself to keep going just because time is short. This is pointless. If you try to do too much at once, you'll exhaust your brain to the point that you know less than you did before you started studying. So, be as smart and efficient as possible with your study, but when your brain and body are telling you to stop, stop.